Shanti Leprahilfe Dortmund - Shanti Leprahilfe Dortmund e.V. Shanti Leprahilfe Dortmund e.V. is a registered non-profit association that exclusively serves charitable purposes (organisation register VR 4227, registered with the district court of Dortmund). It was founded simultaneously along with the Nepalese partner organisation, Shanti Sewa Griha, on 15 July 1992. § 1 of the organisation's articles of incorporation states that: “The purpose of the 'Shanti Leprahilfe Dortmund e.V.' is to assist people in need, especially leprosy sufferers, in Nepal through the provision of funds and resources gathered by membership dues and donations. (…) The association acts selflessly and does not primarily pursue its own economic interests.” Any profits or other association funds may only be used for purposes in accordance with these articles of incorporation. Members do not receive any portion of proceeds, nor do they receive any allocation of organisational funds in their capacity as members. No one may benefit from expenses for purposes outside of the organisation's scope or from unreasonably high compensation. The organisations board of directors consists of the chairperson (Marianne Grosspietsch), her deputy (Christa Schaaf, retired minister), secretary (Heinke Reuter, psychotherapist), and treasurer (Bärbel Puchert, retired manager of the Deutscher Handballbund e.V association). The membership dues are € 30 per calendar year, unless determined otherwise by the general assembly. Members may gladly increase this contribution. The main task of Shanti Leprahilfe Dortmund e.V. is to collect donations in order to finance the work of Shanti Sewa Griha in Kathmandu. These can be obtained through private contacts and initiatives as well as through seminars at churches, schools and other institutions. A tightly-knit network has developed over the course of the years that, just like a family, participates in the development of facilities in Nepal. For this reason, we often speak of the “Shanti family” to which donors feel connected with. 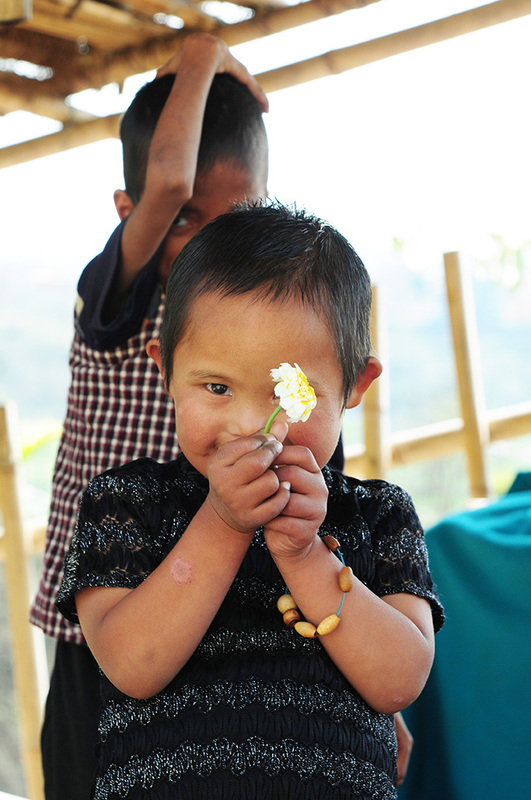 Kanti is a child with Down syndrome who was left behind by her mother in the delivery ward in Kathmandu after her birth in 2004. Four days later, a nurse brought the baby to Shanti. Since then she has lived in Budhanilkantha, attends school, and inspires her care providers and “siblings” alike with her infectiously happy disposition. I DREAMby Ulrich SchafferI dream of islands of humanityin a sea of hardness and indifference.I dream of people who contribute somethingto enable a life of dignity for others.I dream of fear-free spacesand encouraging thoughts.I dream of houses, flats and roomswhere time and love are givento support people who otherwisewould not have meant much in our world.It is not enoughto complain about darkness.It is necessary to be a light.It is not enoughto wait for others;each of us are called uponto venture that first stepto become real and more human.It is not enough to simply dreamwhen life affords us the opportunityto make our dreams reality.